Thank you for enquiring about Brighton Gin. We have received your enquiry and our team will be in touch shortly. 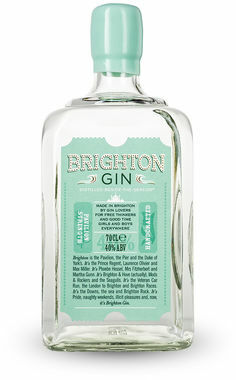 Versatile and adaptable, Brighton Gin works brilliantly as a Martini and is exceptional as a 'Rocktail' with an inch of Brighton Rock as the garnish, a measure of gin and Fever Tree Indian tonic water. Clear and bright in the glass, there are subtle notes of juniper, sweet-scented fresh citrus and a touch of spice.